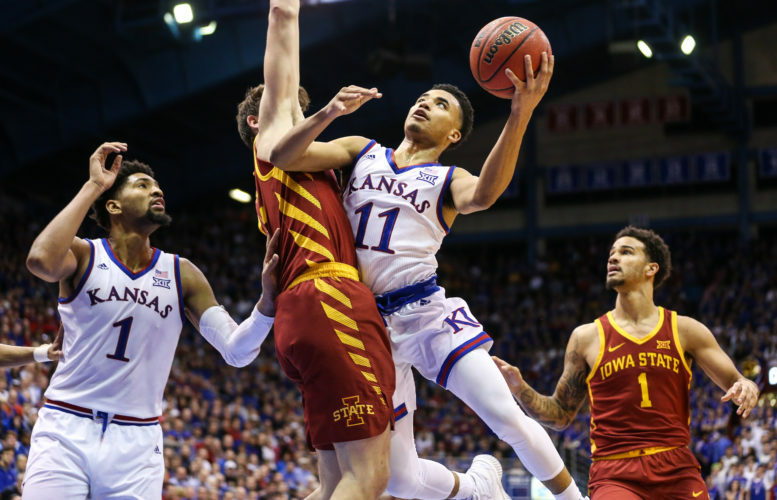 Take us inside what your mind, Sam Cunliffe, will be like at the moment coach Bill Self calls on you to resume your career Saturday in Lincoln, Nebraska, after a full year as a practice player for Kansas. He was just getting warmed up. He moved onto the physical traits he possesses and practice habits he has developed that he thinks will make him a defensive asset. The nagging voice of assistant coach Kurtis Townsend has accompanied Cunliffe constantly. “It didn’t really click until two weeks ago — I was just getting so annoyed by him always chirping, chirping, chirping — now some of the things that even some of the guys who can play now don’t realize, because I’ve been told so many times that this is what you need to do, that I feel like I can come in and and actually maybe even help them with that,” Cunliffe said. What do the coaches harp on? 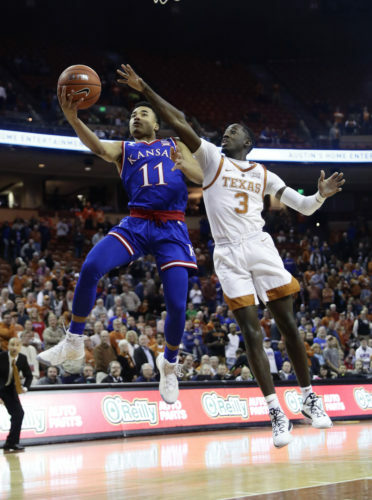 Had he been eligible to play right away, a trip inside Cunliffe’s mind likely would have involved exploring the other end of the floor, where his acrobatic athleticism and soft long-range touch give his game a wow factor. He’s happy to talk about that, too, but didn’t volunteer to do so the way he did with his defensive and rebounding potential. 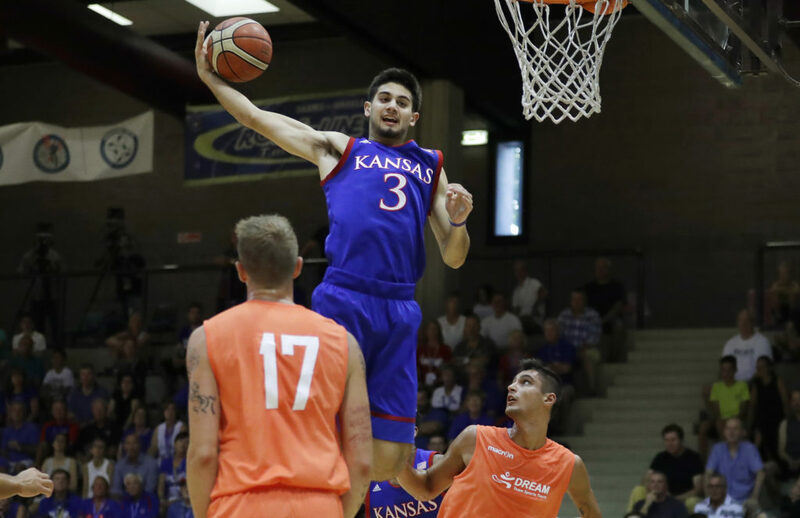 Cunliffe started all 10 games at Arizona State as a freshman, then transferred to Kansas at the semester. 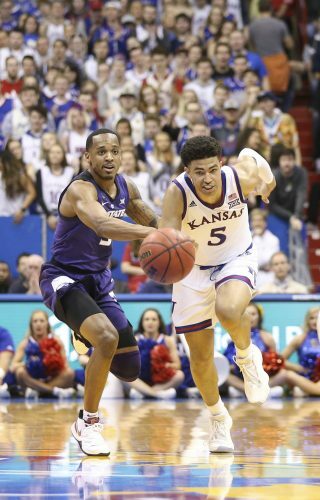 “Obviously, when you get to a place like Kansas you have a whole bunch of guys who are older than you and have been here and know what (coach Bill Self) wants more and are just as talented as you, so I kind of got here and I was like, ‘Wait, hold on, I don’t need the ball every single time,'” Cunliffe said. Throughout the past year, Townsend has harped on what Cunliffe needs to show the head coach to make Self trust him enough to put him in games in big spots. Townsend has guided Cunliffe, a Seattle native, to an understanding of Self’s expectations. Now it’s up to the player to show he can give the coach what he wants. Cunliffe explained what he meant by that. “He doesn’t look for you to make crazy plays, just looks for you to play hard and compete every possession,” Cunliffe said. He explained why he wasn’t being redundant. It’s obvious Cunliffe has been paying attention for the past year to what floats Self’s boat. That’s to Cunliffe’s benefit because the player who put up some nice stats for Arizona State (9.5 points, 4.8 rebounds, .405 3-point percentage in 25.7 minutes per game) but lacked the defensive intensity and ability to score through contact won’t cut it. 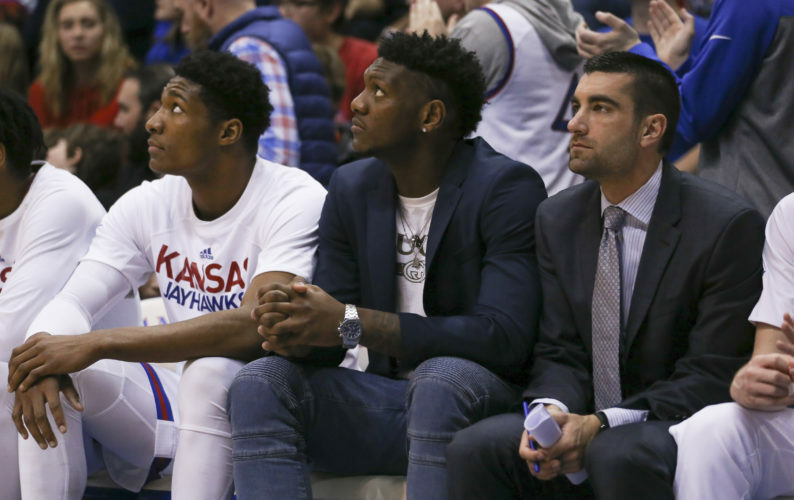 His time to play finally has arrived, although his Allen Fieldhouse debut won’t come until Monday vs. Omaha. The way he sees it, his return comes at the perfect time. He summed up the progress he has made the past year with one sentence. He didn’t like the way it sounded, so he edited himself.